"Easy to search and purchase. Great selection." An engaging introduction to Biblical principles an prayer. Share the words and principles of the Bible with your little ones and help them in their spiritual growth with Little Baby Disciples! 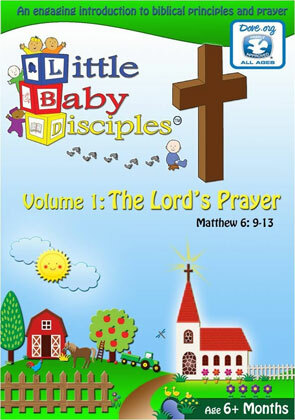 Little Baby Disciples: The Lord's Prayer is a rich, musical way to introduce babies and toddlers ages 6 months and older to classic Biblical principles through entertaining songs, puppets, and informational signing by using the educational principles of interactive and captivating audio and visual stimulation. Includes bonus feature: Jesus is His name OH Music Video! Set aside a place for prayer. Apply generously to all circumstances. You don't have to feel alone any more. An engaging introduction to biblical principles and prayer.